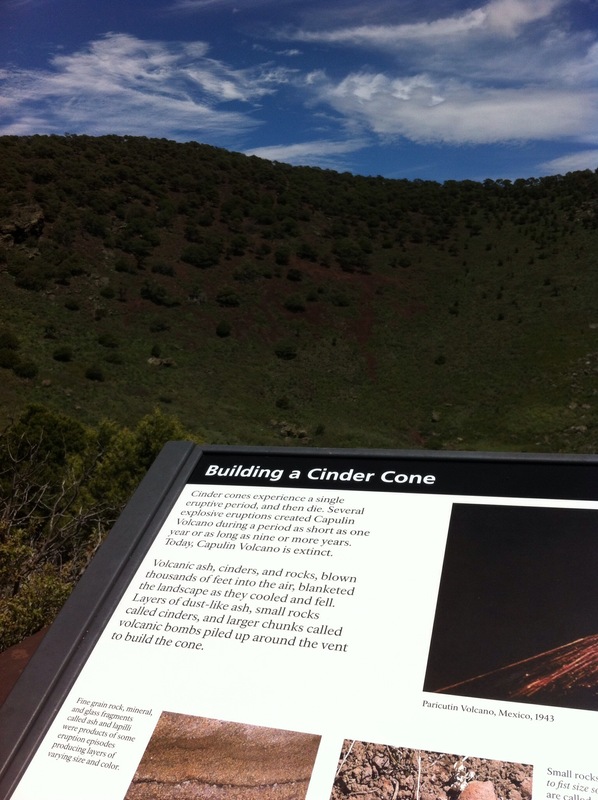 We hadn’t really thought of New Mexico as a hotbed of volcanic activity, but on our way South from Colorado, we stopped at the Capulin National Monument, a cinder cone volcano, in a lava field that stretches for a hundred miles. 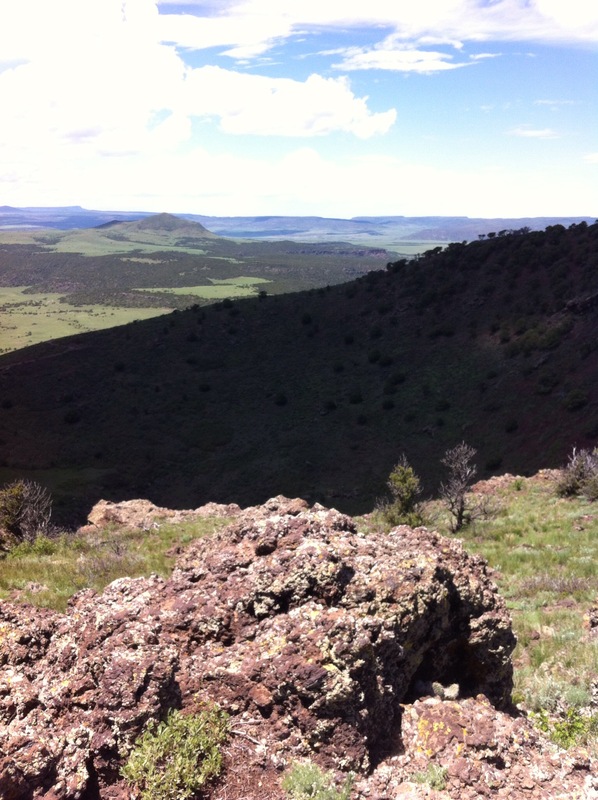 It has been 60 thousand years since it last erupted, but we could observe numerous cones, a large shield volcano, pressure ridges, and extensive lava flows from the summit of Capulin. As it was a clear day, from that height, we could see more than 120 miles in all directions across the plains. 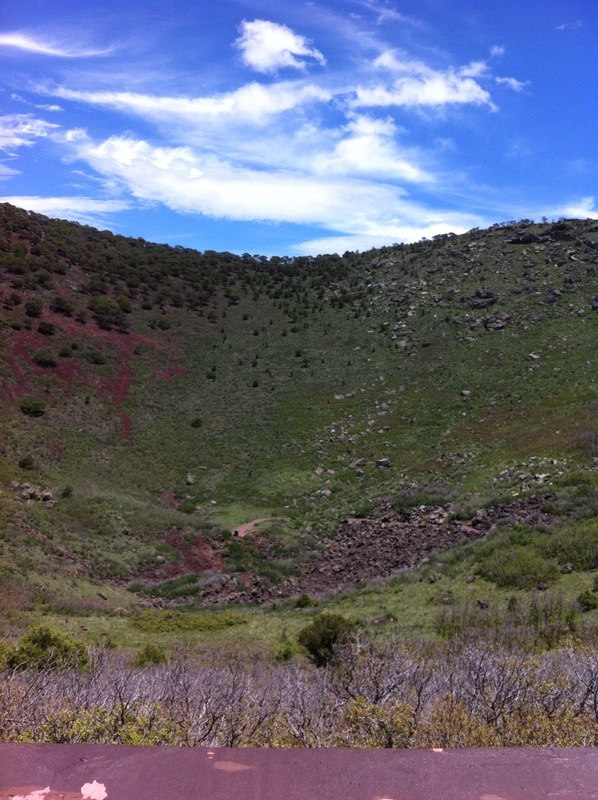 We drove to the top and then walked the crater rim trail, before getting back in the car and continuing on to Texas. We are officially on summer vacation, but that doesn’t mean the learning has stopped. With road schooling, any place all year can be our classroom. 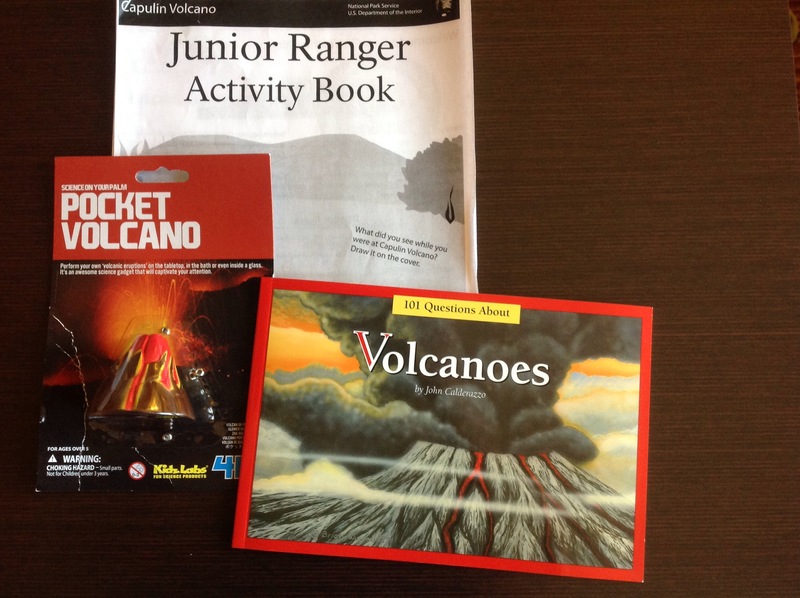 Boy picked out a book to read as we drove, though we didn’t let him try the model volcano in the car. That explosion had to wait until we got where we were going.